Looks like you had a great time at the workshop! :) cool! Eeeee.. I like the little bird! Sooo cute! You did it very nice, Jane! Hi jane, u did a fantastic job, the figurines are so cute! I must also spare times to attend workshop. Chanced upon your blog. I was at the class last Saturday - the oldest student seated next to you. I sure did had a great time! Thanks for dropping me a note! It's so nice to be connected to you! Have you been practicing? Aw, it's your turn to have fun now! Share what you learn okay? I'm interested to know too! My 1st time using fondant, I had fun too & 3 hrs at the class seems too short. Your blog is interesteing too. What is the other lady's name? I can't access your blog. I can't really remember their names. I think busygran is Judy or Julia(?). The other lady should be Julianna. 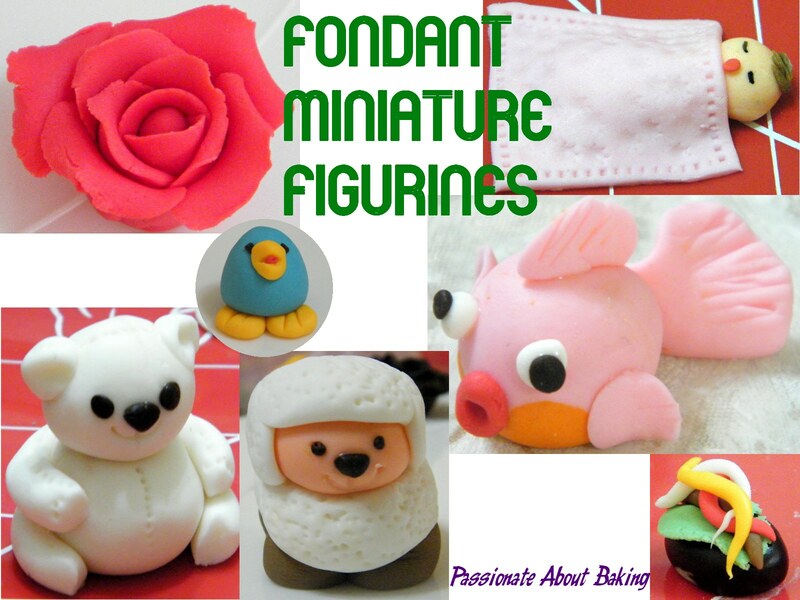 So are you going to take up anymore workshops for fondant?